At last, nonstick cookware that lets you cook like a professional. Heavy-gauge hard-anodized aluminum construction ensures that eggs cook up quickly and evenly as they spread across wide, flat bottom of the frying pan. Low, sloped sides, a double-coated nonstick interior and sturdy, comfortable handle make flipping your omelet an over-easy proposition. 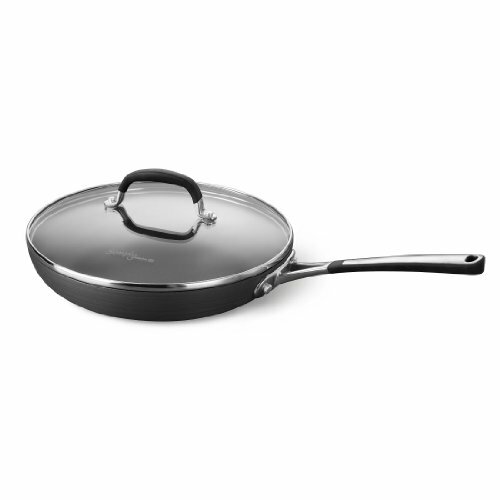 Perfect for hash-browns and other pan-frying tasks, too! 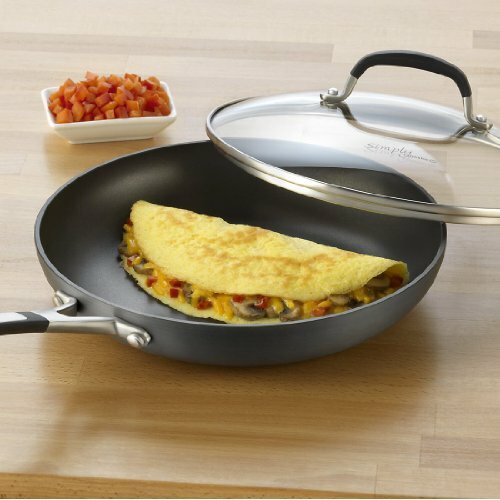 Add a tempered glass cover to this Calphalon omelette pan and a breakfast classic becomes indispensable round-the-clock. Slip on the cover to braise pork chops or slowly simmer a fresh tomato sauce. 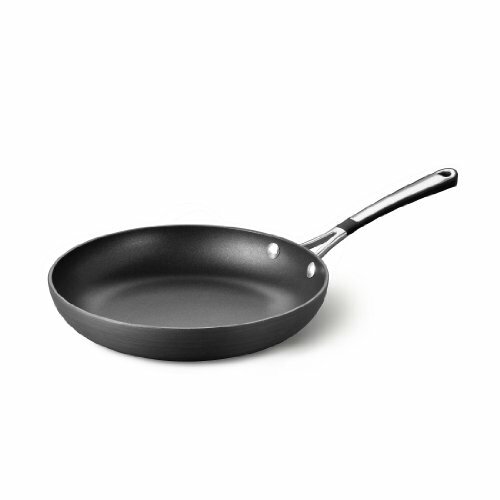 Fry pan is perfect for hash-browns and other pan-frying tasks.